There are many reasons why we’ve become addicted to caffeine. At a basic level, it’s the immediate increase in energy, motivation and mood that gets us hooked. After all, in these times of doing and having it all, we need all the help we can get, right? Well, that’s the million-dollar question and with a coffee industry worth millions, billions in some parts of the world, it would seem so. But it’s not just your daily cup of jo in which caffeine lives, it’s also in that afternoon tea, that fizzy drink, that sneaky chocolate treat, as well as other food products and many over-the-counter medicines. It’s no wonder then that the slope to caffeine addiction is a slippery one. You’d be forgiven for being confused about whether caffeine is that bad for you. Some reports suggest that caffeine is great for muscle recovery and can lower your risk of diabetes. Whilst other reports suggest that caffeine can lead to high blood pressure and increase your risk of heart disease, not to mention being linked to higher stress and anxiety levels as well as depression and weight gain. So, it would seem the bad outweighs the good. But all is not lost and the key to caffeine consumption is moderation. Aside from the addiction, the withdrawal symptoms associated with giving up caffeine, might be putting you off. The good news is that with the right nutritional support, the side effects of quitting won’t be so severe and it only takes four days to break the habit! Preparation is key. Before you start the process of breaking the habit, spend a week making a concerted effort to eat a low-GI diet and incorporate some basic daily supplements such as a multivitamin, multimineral, vitamin C and essential omega-3 and 6. Identify your vice/s. Whatever your vice, it’s important to make sure you understand the source of your caffeine in-take so you don’t slip back into bad habits without even realising it. During the “preparatory week”, why not start a caffeine diary to make sure you know when you’re likely to reach for the caffeine? Slow and steady. 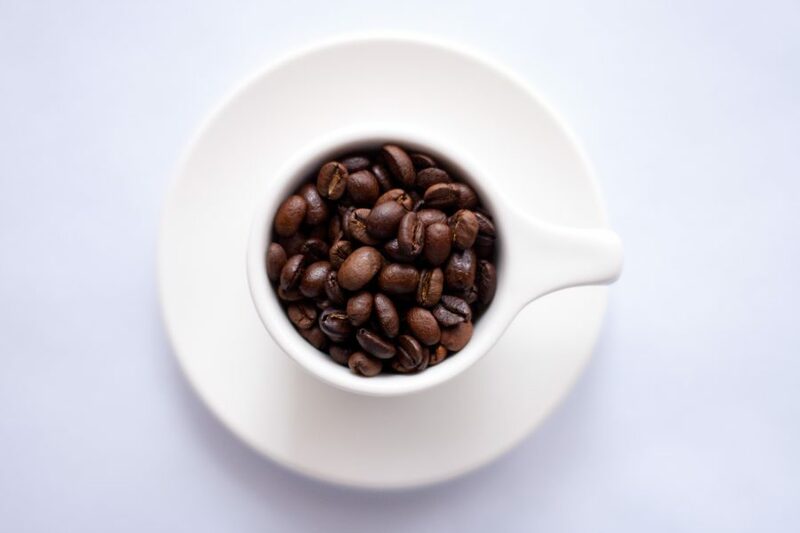 Caffeine withdrawal symptoms can vary in severity and range from headaches and fatigue to depression, irritability and even flu-like symptoms such as nausea, vomiting, muscle pain or stiffness. The key is to give up slowly. Try cutting back by a third of your daily consumption each day, until you reach a daily in-take of no more than 100mg i.e. one regular coffee, cup of black tea, or two regular caffeinated drinks (40mg each). Antioxidant-rich alternatives. Experiment with caffeine-free alternative drinks such as rooibos – a great caffeine-free drink, high in antioxidants. You could also try herbal and fruit teas. If you’re still craving caffeine, reach for green tea which contains high levels of health-promoting antioxidants, but don’t have more than two cups a day. Nap time. Caffeine is a stimulant so don’t be surprised if you feel more tired than usual when giving up. Indulge yourself in sleep if you can, or aim to give up caffeine when you don’t have too much going on or during a holiday. C for yourself. Headaches are a very common side effect of caffeine withdrawal. Load up on vitamin C and drink plenty of water every day to combat a pounding head. Chromium will help take the edge off your mood if you’re feeling particularly irritable. Keeping clean. You might think kicking the habit is the hardest part but staying away from caffeine long-term might prove harder. Don’t despair. Continuing with your low-GI diet and turning to caffeine-free alternatives should keep you on the straight and narrow. If you’re absolutely desperate, one cup a day should be your absolute maximum. But remember, it’s a slippery slope!